Mooring Systems, Inc. manufactures spherical shaped subsurface buoyancy for ADCP buoy applications with integral stainless steel instrument mounting frames, or with single strength members for use as primary or back-up mooring flotation. 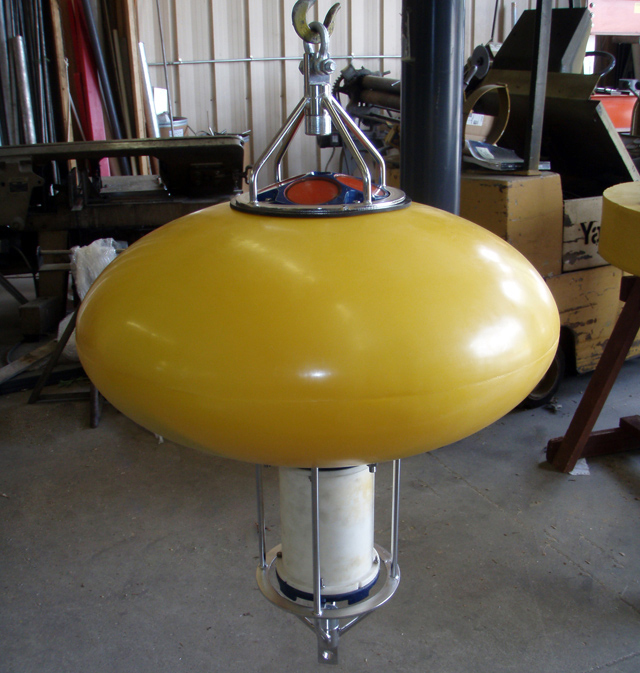 Spherical buoys with internally mounted instruments will greatly reduce current drag and improve mooring performance. ADCP transducers and other sensors can be better directed up to the surface when mounted inside the well of syntactic buoys. 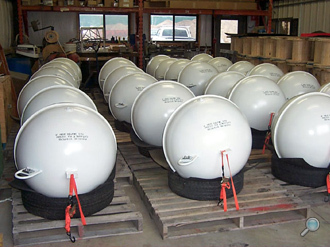 Using a fewer number of floats by increasing the diameter of the float will also greatly reduce horizontal drag. The cross sectional area affected by ocean currents is smaller when using fewer larger floats with equal buoyancy to that of many small floats. 35" diameter float rated for 1000m and buoyancy of 450 lbs. is equal in buoyancy to (8) 17" diameter floats. As you can see, (1) 35" float will have far less drag than (8) 17" floats. 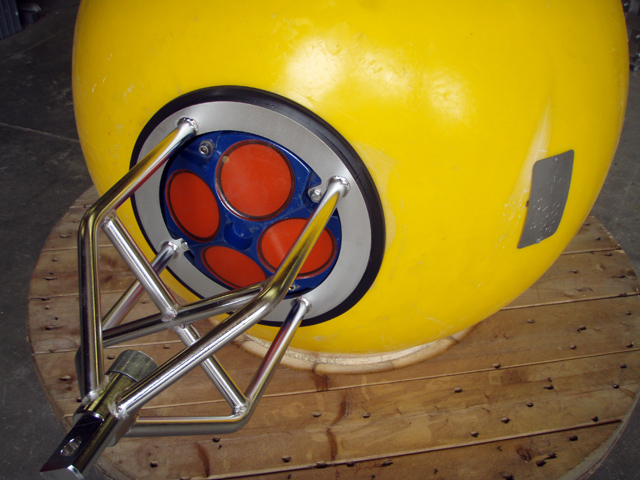 Above Left: Battery housing "bottom"
Mooring Systems, Inc. manufactures an ellipsoid-shaped subsurface buoy that provides a lower drag coefficient than traditional shaped spherical buoys. 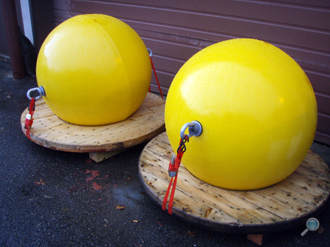 The ellipsoid buoy improves mooring performance by reducing lay down caused by water currents. 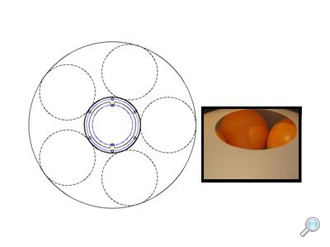 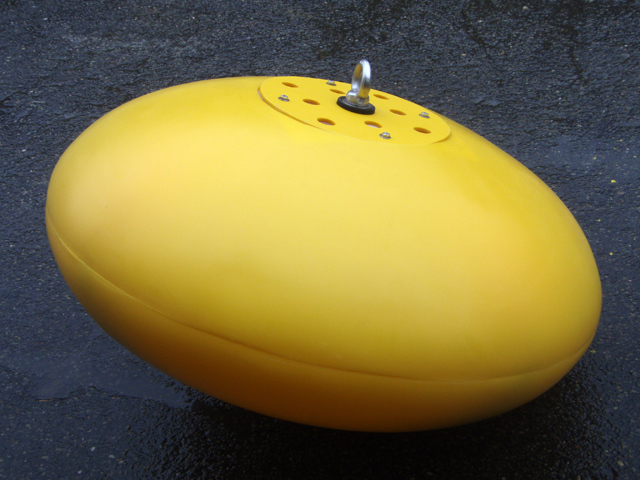 Ellipsoid shapes are more predictable and have lower risk than other non-spherical buoyancy modules. 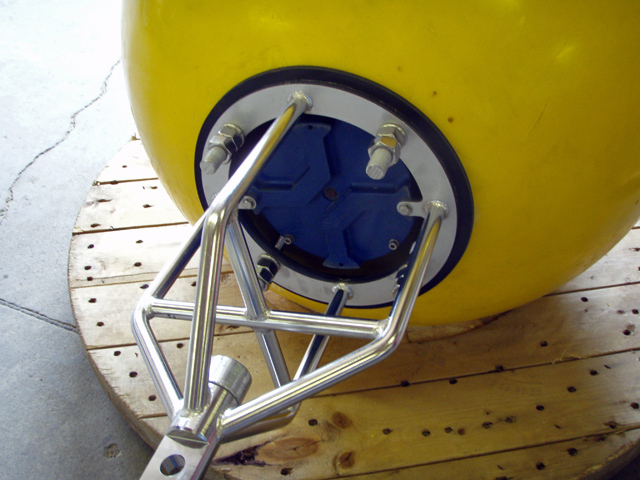 Configurations are offered with single strength members as general mooring flotation, or with integral stainless steel instrument frames. 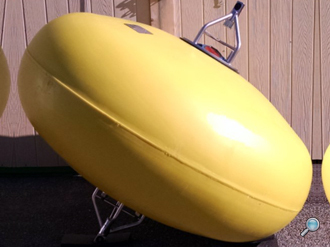 During mooring recovery operations, ellipsoid-shaped buoys provide excellent vertical position of beacons unlike spherical buoys with unbalanced instrument payloads that roll in ocean waves. Mooring Systems, Inc. utilizes plastic commercial fishing floats for use in a variety of instrument mooring applications. 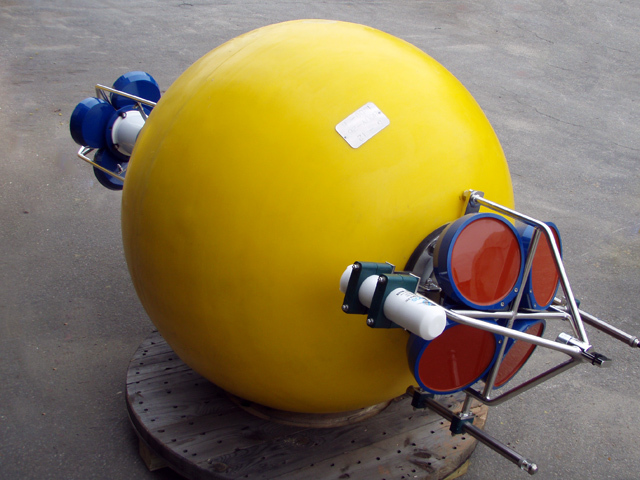 Configurations include; subsurface mooring flotation, instrument frame buoyancy, and pop-up recovery buoys for bottom mounts. 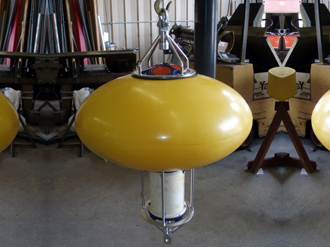 The basic configuration of placing floats in series on a single strength member provides an inexpensive buoyancy alternative in relatively shallow water applications. 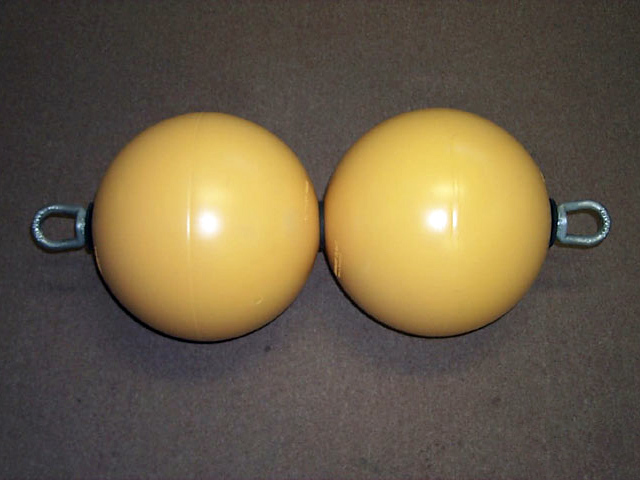 Galvanized steel strength members and shackle attachment eyes provide 5,000 pounds of strength. 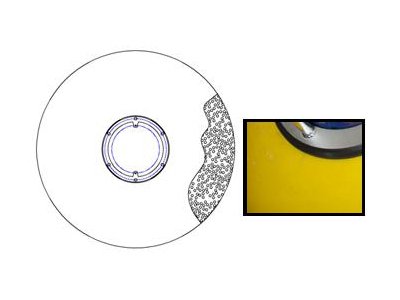 Neoprene washers are used to protect the plastic when secured tightly on the steel rod. Floats are available in single double or triple assemblies. 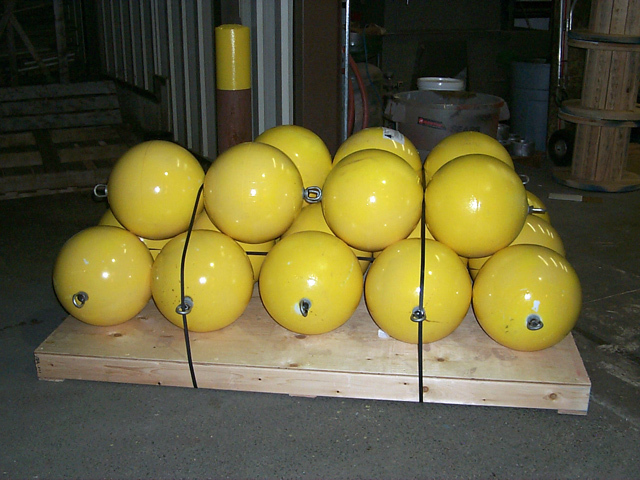 Our trawl resistant Bottom Mounts (TRBM) have used these floats for over a decade as pop-up recovery buoys when used in conjunction with acoustic releases and recovery line canisters. 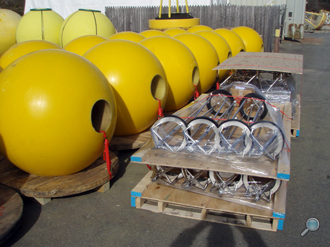 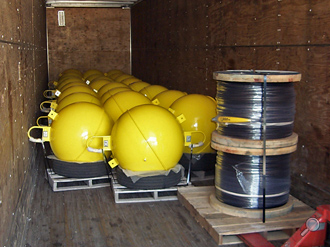 Mooring Systems, Inc. manufactures steel flotation spheres for use as in shallow water oceanographic mooring applications. 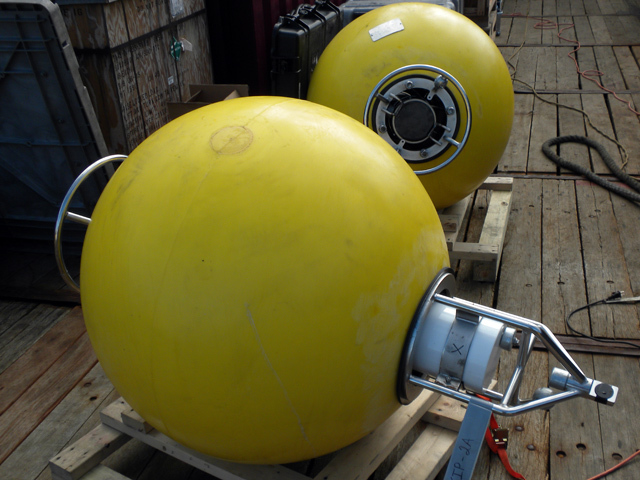 Steel spheres have been in use for over 30 years and continue to provide benefits to oceanographers and marine engineers for long term deployment of instrumentation and sample collection apparatus. 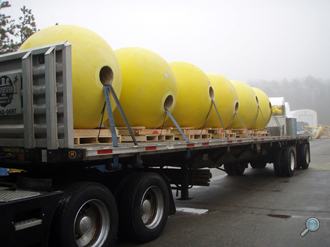 Steel floats are larger in volume than alternative plastic and glass floats, providing greater buoyancy per float. 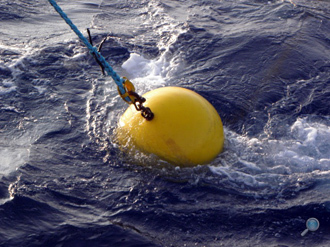 This advantage translates to better mooring performance as fewer floats for the same given buoyancy will result in lower drag. 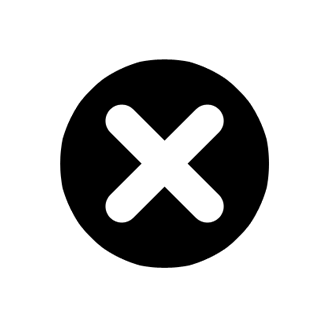 © Mooring Systems, Inc. - All rights reserved.